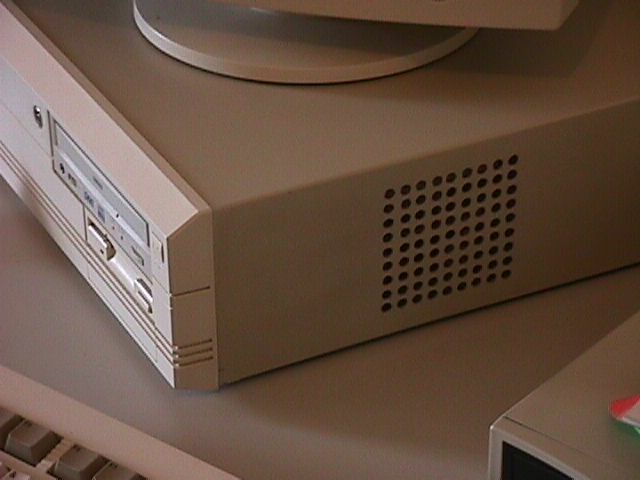 It's possible to connect more two ide hds on my standart amiga? It's possible to use powerup and warpup kernel at same time? this ppclib, is not possible to run two ppc kernels at same time! What is the official ppc kernel of amiga? Amiga Inc defined to official ppc kernel is WarpUP by Haage Partner. My Concierto sound board have the volume so low! Why? of macintosh emulators, like ShapeShifter and Fusion? My multiview or my dopus double click sniffer failed, eternal loop? has on your devs:datatypes/ this problematics datatypes on your system. On this datatype is find this bug: XBM v43.9! BorderSize/Top = TitleBarSize + 2 on Visual Prefs config. Your Amiga PPC lockup constantly, and mainly in cold days? board and cleans the contacts connectors, here solve all problems! no problem, else, contact Nova Design and report "again" this bug! Programs failed to open guigfx.library correct version? PowerUp kernel is compatible with OS 3.5? is that OS 3.5 comming with WarpUp Libs. I need format my partitions to install new filesystem from OS 3.5? filesystems, just update your filesystem on HdToolBox. Is possible to use new filesystem from OS 3.5 on OS 3.1? Yes! Just update your filesystem on HDtoolBox or HDInstTools. I have some problems to use OS 3.5 with Opus 5.81, how to fix? version fix all problems with icons on Opus and OS 3.5. My Opus 5.81 crash on load with OS 3.5? with NEW TOOLTYPES [on], Opus will crash! Just put off to fix. OS 3.5 and Opus 5 eat a lot of my chip memory, why? install Opus update before to install OS 3.5. After install OS 3.5, when i run prefs/locale crash, why? and save locale preference again. My asimcdfs 3.10 not recognize joliet format, why? AutoStart DC [+2 partitions], here only work with DC activated. How to finish with the heating problem it a4000 desktop?